Bollywood Diva Deepika Padukone was last seen on the big screen in Sanjay Leela Bhansali’ period drama ‘Padmaavat’ that had released in January 2018. The Diva since then has been on a hiatus enjoying married life with beau Ranveer Singh. 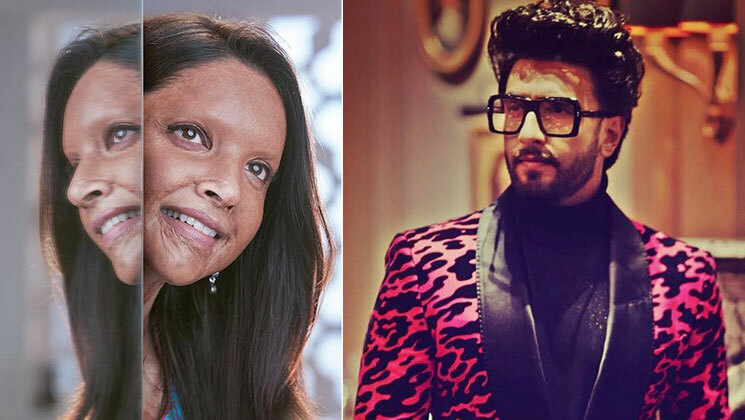 The talented actress has now signed a new project that is all about an acid attack survivor. Recently Deepika Padukone took to her social media account and shared her first look from Meghna Gulzar directorial ‘Chhapaak’. Complete with prosthetics and a wide smile, Deepika’s look bowled everyone. Her social media handle was soon flooded with appreciation galore from fans and friends. Finally, we have hubby Ranveer Singh commenting on Deepika’s look from the biopic. Ranveer’s comment will make you wish that you had a husband like him. Deepika Padukone will be playing the role of Laxmi Agarwal an acid attack survivor. She is not only acting in the movie but also producing it. 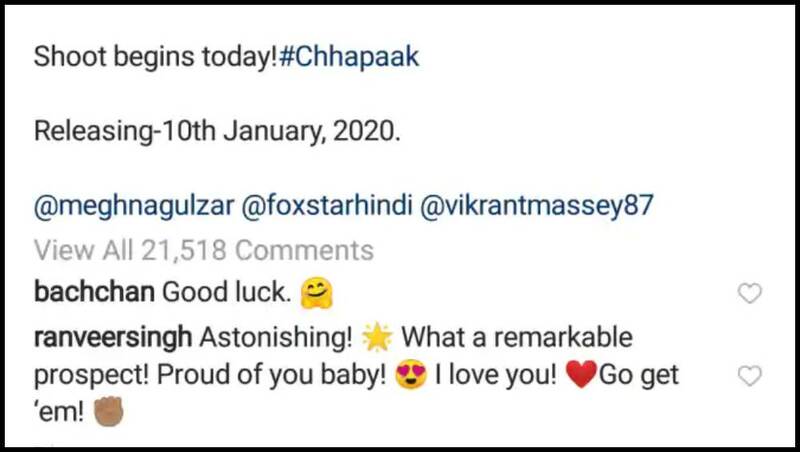 ‘Chhapaak’ also features Vikram Massey and has gone on the floor. The movie will be releasing in January 2020. Ranveer Singh on the other hand after the super success of Zoya Akhtar’s ‘Gully Boy’ will next be seen in Kabir Khan’s sports drama ’83’. The story of the film is based on the Indian cricket team winning the World Cup. The ‘Befikre’ star will be playing the role of cricketer Kapil Dev. He also has Karan Johar‘s ‘Takht’ in his kitty. The period drama also features Anil Kapoor, Vicky Kaushal, Kareena Kapoor Khan, Janhvi Kapoor, Alia Bhatt and Bhumi Pednekar in pivotal roles. Also Read: ‘Chhapaak’ : Deepika Padukone’s first look from the Meghna Gulzar directorial is OUT!